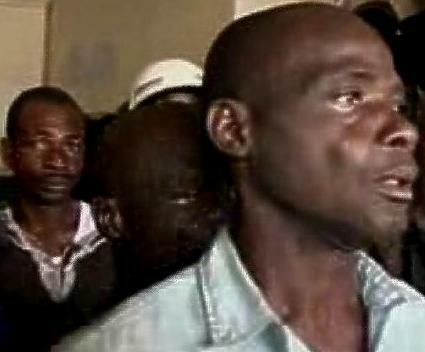 Tuesday October 18, 2011 - Selective justice takes a hold again in Sierra Leone. Have we forgotten the lessons of our recent history so soon? It was this kind of meddling in the affairs of the judiciary and the other arm of governance, Parliament, during APC one-party rule that created the atmosphere of resentment against all those in authority and led to our troubles. The outbreak of the first major armed rebellion against the state. Is there no lesson for us? We have been following with keen interest what looks like another class act by the magician himself, the smoke and mirrors President who would want to be seen and respected as the Fountain of Honour of our very own country, Sierra Leone. We don't like what we have seen so far in action taken by the government as regards the Kelvin Lewis report on the September 9, 2011 violence in Bo. It is to be recalled that it was the President himself who, in what some sections of the truly independent and unfettered press reported that he, the President was in a no-nonsense mood when he ordered that investigation. 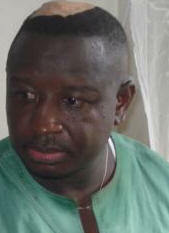 The Bo incident in which the Presidential hopeful of the main opposition party, the SLPP, Rtd Brigadier Julius Maada Bio was attacked and wounded should be a great cause of concern as it was this action that precipitated the resulting chaos that saw another innocent Sierra Leonean losing his life, at least ten suffering from gunshot wounds and offices of the ruling party torched. As the report pointed out, the attack on the opposition flag bearer was pre-planned leaving no doubt in the minds of watchers of the increasing violence under the watch of our magician at State House that it must have received some kind of approval from APC party rulers and operations commanders. That the ruling party, would attempt in 21st century Sierra Leone and under the watchful eyes of the guarantors of our peace, use violence as a tool for intimidating the opposition reflects the APC's one-party psyche of intolerance for democratic values and good governance. "Government accepts the findings and recommendations of the panel and assures the general public that they will be fully implemented." And that is why we are worried, increasingly worried that reports so far would seem to indicate that the police officers implicated in the shooting of civilians as well as the deliberate murder of a bike rider have still not been charged for their actions as stated in the report and the subsequent government statement that the government has not only accepted the findings but that they would be fully implemented. Any other excuse for not charging the police and others named in that report to court brings shame to the holder of the highest office in the land and also buttresses the voice of critics that the security forces as well as the judiciary are being compromised by a government that still has to wake up to the reality that Sierra Leone is no longer a one-party ogre. We are very concerned because this is not the first time that we have witnessed the perpetrators of violence getting a pat on the back and allowed to go free when the law tries to act. Kindly recall the attack on Sierra Leonean citizen Tom Nyuma and how the case against his assailants was thrown out of court as soon as State House was occupied by the magician. Next it was the headquarters of the main opposition SLPP that was attacked in broad daylight and in the full view of the public. 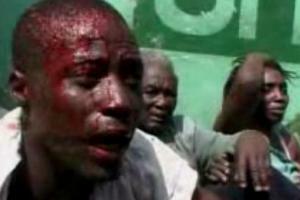 Pictures, some moving images, showed just how the security forces were being encouraged to wreak havoc on the opposition. In the end, the government shamelessly charged 22 SLPP supporters to court. Yes, the victims were charged while the alleged assailants including Idrissa Kamara, also known as Leatherboot, was set in the company of the President. That's justice Ernest Bai Koroma style and we once more bring to the attention of the government and the international community the selective justice that has now become a hallmark of this thing in Freetown which passes for a democratic government. Those police officers implicated in that report must be brought to justice. Period. We urge the guarantors of our peace, peace-loving Sierra Leoneans and all those who love the only country that we know as ours to once more impress upon the government that intolerance of criticism and legitimate political and civil opposition to what it is doing in the name of the people is a part of the process of democracy and good governance that is expected of a country that has gone through so much violence and suffering. The government stands condemned if it still believes, in 21st century Sierra Leone that the hell created for peace-loving and ordinary Sierra Leoneans who want to go about their daily chores in peace as was witnessed under the regimes of Siaka Stevens and Joseph Saidu Momoh, could still be applied to achieve political ambitions. One online news outlet, the Sierra Express Media (hope they too, are not branded SLPP - by the Ernest Bai Koroma "re-branders" internet flying toilets, vermin to the core) has this line in a recent article, in its satirical column, Mr Idiot, on the SLPP sitting MP one Yokie who was among those implicated in the Bo violence and charged to court. Reports say he was refused bail despite several applications by the lawyers representing him. "Who says the Idiot was against magistrate Wellington granting of bail to the accused? Surprising to the Idiot was the fact that some court visitors earlier told him there shall be no bail for the accused and it did happen." This is terrifying....and we who have lived through it all know so well that it is true....that was how the outcome of court cases was determined during the Stevens and Momoh interpretations of the constitution and the application of justice. It was the same during the trial of a former police officer named Gabriel Tennyson Kaikai and other alleged coup plotters, among them a member of the ruling APC and the second in command, the Vice President, one Francis Mishek Minah. The jurors in that case were alleged to have been handpicked and approved by APC party operatives that wanted to make sure the outcome was favourable. It was even doing the rounds at the time those who were to face the gallows and we can recall that at one APC-sponsored gathering when a member of our team suggested to a party insider that those on trial might be found innocent after all, came the sure-fire reply "You day tok you yone" - in effect saying that we who know - know and that an outsider like you will never understand. This was a tacit indication that those accused that are to face the gallows are already selected and that no matter the presentation of defence lawyers, the government and hence the ruling party, the APC, will have its way. "Befoe Minah free...leh Kaikai in neck save" - Gabriel Tennyson Kaikai was the first accused in that trial and it was common knowledge at the time that numbers were given on the list of the accused depending on what the state prosecution team believed was the strength and participation of the individual. Thus as GMT, Gabriel that is, was number 1 it was assumed that he would be a sure target and so when this party official stated this in the hearing of others, we knew just what was going to happen next - we could at that moment guess the outcome and hence predict Minah's fate. One of the members of the jury was a journalist who was believed to be close to the party - not that he supported what was going on. He agreed to serve and comply with orders from the APC because, as he confessed to colleagues, he needed the money and the privileges of staying at a hotel with all expenses paid for by the government. When the APC finally snuffed out the lives of GMT Kaikai and a couple of his brothers/cousins as well as the then Vice President FM Minah, watchers of the political scene were not surprised. They all knew the outcome and it is not for us to go back in time to state who was in charge of the police investigations. That, as we had promised would forever be put to rest. Not on our pages. Another case of selective justice and how the justice system was compromised was in the case of another treason trial - oh yes there were quite a few during those dark days, was how the man who had wanted to contest the Freetown East Three constituency against the incumbent one F B Turay of the APC. Poor Mr Thompson was implicated in a coup, found guilty and despatched to his Maker. There was the case of one Paramount Chief N'Silk. He was also roped in and was not spared. Insiders within the APC alleged that he "did not respect di Pa", refused to show respect to Siaka Stevens and was also meant to send a message to these traditional rulers that they were not immune to the hanging ropes of the APC. And this is why we who were around at the time and witnessed it all would want to send a message, a strong message that if the magician at State House is not stopped in his tracks NOW, he would not mind taking us back to that road we had pledged never to walk again. His mindset could well be that by the time the rot sets in, he would have had his second term and left. We would urge him to take a look at and understand Robert Burns' poem "To a Mouse", later to become a classic by John Steinbeck, "Of Mice and Men"
A reminder that the most carefully planned and expected outcome might just go wrong.